Who had the bright idea to do a mini triathlon the same week as the Esprit de She 5k. The same week that has about a billion things planned due to the natural alignment in the stars? I’m ready. I’m totally ready. Bring it! It’s been a whirlwind sort of month, and I’m happy to report that I’ve been moving along with my tri training this month. I wasn’t making much progress with my half marathon training and then the Women’s Half Marathon Scottsdale was cancelled. It was a sign that I needed to push my training back or focus on the Tri! I’m getting more and more comfortable with the swim. I found out that you just have to get in the pool and swim. I’ve been getting in at least two swims a week and I’ve even been missing the pool on rest days. What? I’m a swimmer now? Practicing the serpentine swim was not that bad, but not as straightforward as I thought it would be. Just go under the ropes once you get to the end of the lane, right? How hard can that be? Well, if you are hugging the right side because you know that you’re going to get passed, the line is a little further than you think and you’ll bonk your head on the rope. No biggie. I’ve been working on my brick workouts and I also figured out that I like to bike! I’ve been working with my sister-in-law’s bike and so far it’s been great getting out on the road. I did my longest bike distance (10 miles) a couple of weeks ago and I was so uncomfortable after the 3rd mile. I felt like I need lean over to stretch my back and drop down a little more. Unfortunately, the bike is a straight bar hybrid, so no drop downs for me. I’ve also been pushing myself on my training runs, so I’m getting a wee bit faster. Run Club at the gym changed its format to “Dawn Patrol,” and now we aren’t just limited to hills, sprints and tapers. We’ve incorporated strength training exercises. It’s a tough and really great workout! Between the swim, bike, running and the strength training I can definitely feel myself getting stronger! 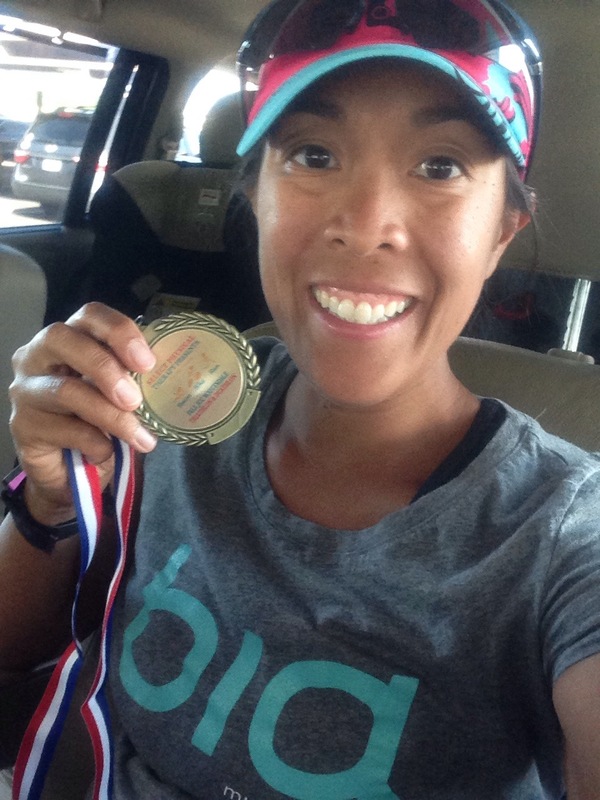 I completed my 2nd Tri yesterday! 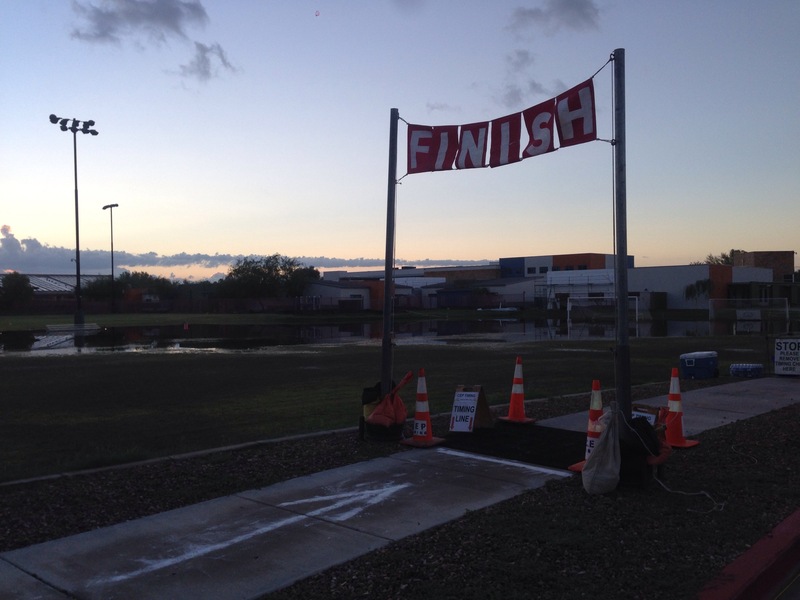 It was the JCC Scottsdale Mini Tri. It was put on by TriFamily Racing and it was an awesome little race. I wasn’t as nervous as I thought I’d be, I was definitely ready to race. I’m still riding my Tri high. The day before the Phoenix Valley was hit by a huge monsoon. I wasn’t sure that the race was going to happen. It turns out that they would go rain or shine! Thankfully on race day weather was great! It was a pool swim so we lined up in numerical order and just waited our turn. We had 15 sec in between each swimmer. I had the nervous butterflies before we were in the water, but I felt calm a minute before my start. My swim wasn’t too bad, and I was definitely passed. But, I was also able to pass a couple of people. I’m happy to report that I didn’t bonk my head on any of the lane markers! I waited at the end of the lanes a couple of times to catch my breath, so with more practice I can shave off some time off my swim time. I put my socks on in transition after the swim. Oops, I didn’t really practice this part. I realized that once I started riding, I could feel the water pooling in my socks. It was not the best feeling in the world. I don’t know that I would do that again. Generally, I felt so slow on the bike. I couldn’t find a comfortable gear and I was getting lapped by road bikes. I did pass a couple of people who were also on hybrid bikes. Once I started the run, I felt like I had bricks I my shoes and shorts and I was wading my way through jello. Even if I wasn’t feeling super speedy, I actually had a really great run! I felt like I shook the bricks off after the first mile and finished strong. After the race, I found out that I placed 16th out of 28 in the women’s division and 2 out of 3 in my age group. Since the first in my age group was a top 3 finisher, that made me 1st in my age group! I have a fancy medal as proof! 🙂 I had a really great time at this race, so you can bet that I’ll be doing another TriFamily race! The fall race season has begun! 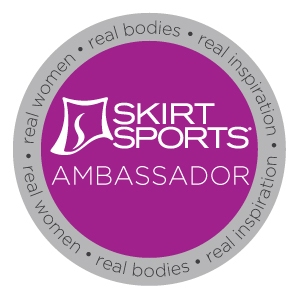 Next race is the Esprit de She 5k in Mesa on Thursday, Oct. 2nd. I was hoping for a sub 30 5k, but I think I might have injured my right hamstring (during my daughter’s dance class). ;-( We’ll see after a rest day or two. Bring on the races!! Posted in Exercise, Races, TriathlonTagged bike, race, run, swim, training, triathlon, trifamilyBookmark the permalink. You conquered the serpentine swim, rocked your race and got 1st in your AG! AMAZING! Way to go Olivia!